Get 20% OFF Protein Shakes! Yes, you heard that right. 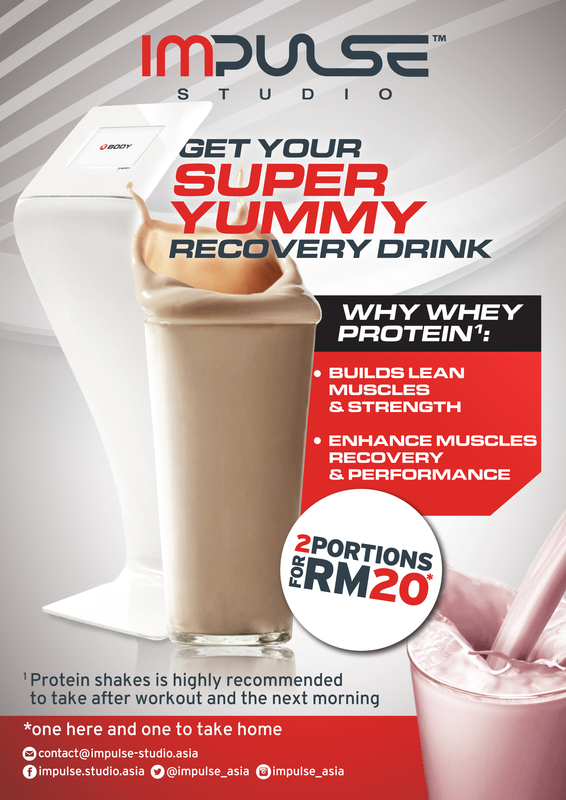 Impulse Studio is giving 20% OFF Protein Shakes only in Platinum Sentral! Protein shakes is highly recommended to take after your workout and the next morning before you start your day. 20% OFF only in June and July. Available in Platinum Sentral only. 2 portions for RM20 (one to drink in our studio and another one to take home). Every time you purchase, get our staff to stamp your card for 1 FREE drink after 10 sessions!